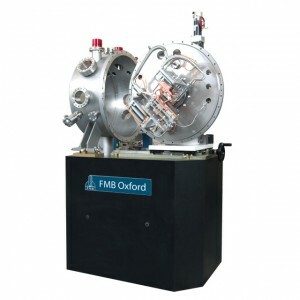 FMB Oxford has unparalleled expertise in customised hard x-ray monochromators, having designed and constructed more than 80 since the first unit was delivered to the ALS in 1996. The FMB Oxford DCM, the leading monochromator for hard X-ray applications, is a versatile high performance system suitable for use on both bending magnet, wiggler and undulator beamlines. The spectral range required determines the choice of crystals; multiple sets of crystals can be installed, with in-vacuum selection. The system can be used in either fixed offset or pseudo-channel cut mode. We can provide either water-cooling or cryo-cooling for the first crystal, depending on the heat load to be dissipated and the thermal and optical performance required. We offer a range of second crystal designs: short second crystals with parallel translation; long second crystals which allow the beam to walk the length during Bragg rotation; and sagittally bent second crystals for focusing. 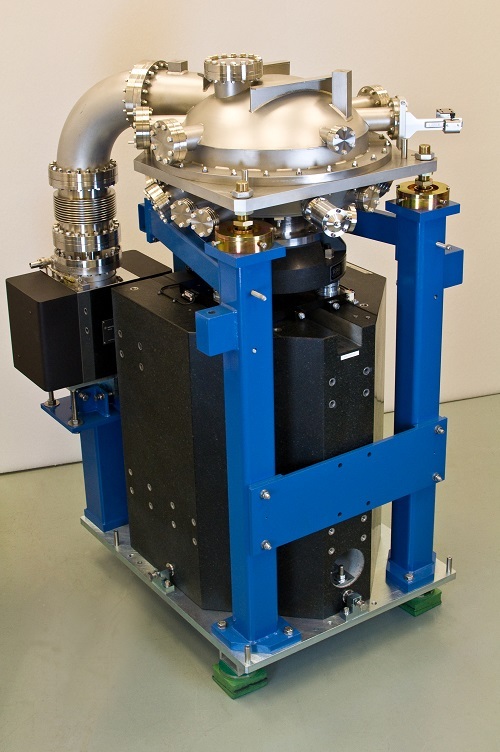 The DCM consists of the vacuum system, goniometer, crystal support, and manipulation mechanism, mounted on a substantial synthetic granite block. The associated electronics can be supplied mounted in a 19” rack system.